Most renown wall street investors have been on record criticizing Cryptocurrencies such as Bitcoin (BTC), Ethereum (ETH), Ripple (XRP), etc. In their highly publicized ‘financial advice’. They have been cautioning the public from investing in Digital Assets terming them fake, fraudulent, and often predicting an imminent plunge to zero. However, a quick look into their investment’s behavior shows that after such advisories, the Crypto markets usually react and a significant price reduction ensues. Interestingly, the same critics anonymously take the opportunity to strategically invest in Cryptos. Hence, their criticisms are meant to rattle the markets and occasion volatility through triggering increased selloffs relative to buying-backs. However, Crypto markets are maturing, and volatility is emanating from other factors rather than negative publicity. Hence, there is no logic to follow the advice of these wealthy wall street personalities and to fall for their veiled agendas. Prior To mid-2018, Cryptos were highly vulnerable to individual actions as they were still in their nascency where many termed them as the wild west of investments options. In this period at September 2017, famous financial mogul, Jamie Dimon-, the CEO of JP Morgan and Morgan Stanley cautioned employees of the institutions from investing on BTC with threats of being dismissed. The markets responded and BTC plunged by 24%, however, news later emerged that the “anti-Bitcoin” advocate was the greatest buyer of BTC in the ensuing crush. Looking at the case of Dimon, his preference for BTC and Cryptocurrencies has been that one of an on-and-off support but the actions of JP Morgan and Morgan Stanley indicate a solid preference for BTC and other Digital Asset-based investments. In January 2018, Crypto markets, a currency speculator, warned the world that Bitcoin was a bubble which was about to burst. This led to a 44% plunge in BTC value. However, 3 months down the line, Soros Family in-house trading unveiled a Cryptocurrency trading service. Additionally, Crypto markets, on February 7th speculated that Cryptocurrencies would crash to zero. This occasioned a 27% drop in BTC value. However, the company invested in Circle, a startup that had invested $400 million in acquiring Poloniex Crypto exchange. This was seen as a wider scheme by Goldman Sachs to lay a ground for its own Crypto trading desk. Others high-net-worth personalities to invest in Cryptos despite their public disapproval include; Stephen Cohen who is a billionaire hedge fund investor, Marc Lasry who is the CEO of Avenue Capital Group, etc. BTC, for instance, started to trade from a paltry $0.003 to the current $3,425. Other Digital Assets have grown by similar margins. 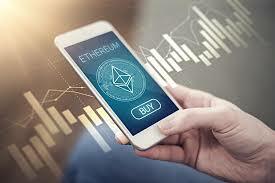 The growth has mainly been speculative as Cryptos are assets in nature. In addition to the aspect of price, there is the aspect of convenience, privacy, efficiency, decentralization, etc. that Digital Assets proffer to industries such as banking, insurance, etc. Hence, the future of Cryptos is guaranteed by the very nature of their benefits rather than what leading market manipulators aspire.